Because surface design is an important part of my work I take my inspiration from arts other than studio pottery, which is a bit sniffy about decoration. 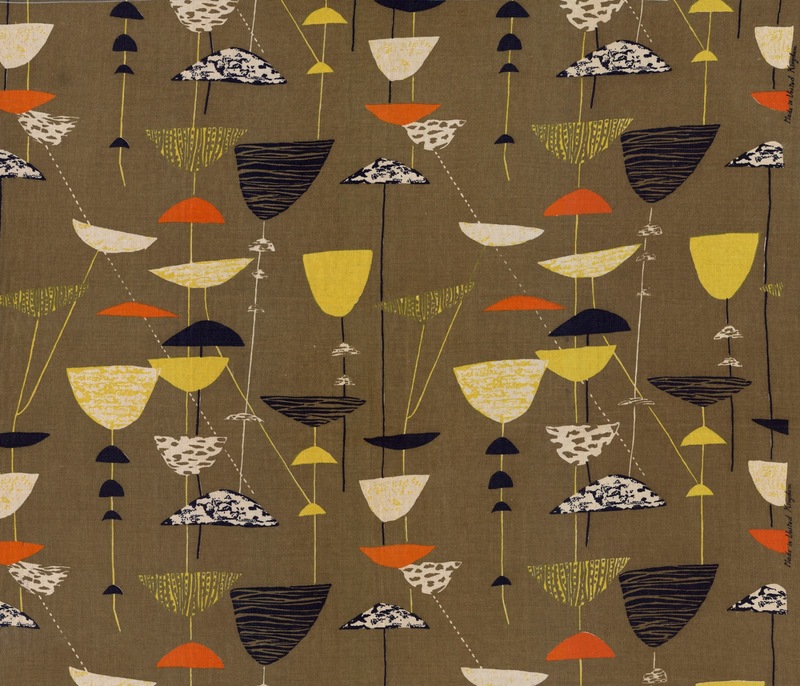 Lucienne Day’s textiles are an important source. Her iconic “Calyx” design, made for the Festival of Britain in 1951, makes clever use of five colours, selecting eight contrasts out of a possible twenty. I like this disciplined treatment of colour and it’s essential to my patterns as I use only six colours on all my ceramics. If you ring the changes like this, you can get unity in variety and make your work recognizable from its colourways without being monotonous. Here is a video about Lucienne and Robin Day. Contemporary Days: The Designs of Lucienne & Robin Day from Design Onscreen on Vimeo. The rational optimism of Lucienne and Robin Day, which comes across in this extract, is uplifting. Robin says he thought that it was possible to improve people’s lives through good design, an essentially modernist idea out of fashion today, but a valid one.